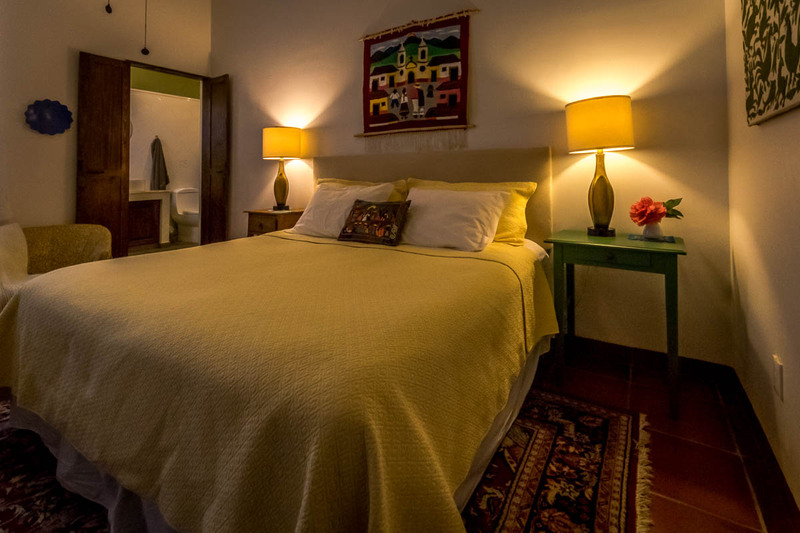 At Casa Xola, we treat our guests to a little more than they might expect from a bed and breakfast style inn, because we really appreciate the opportunity to serve you. All of our rooms are individual – very comfortably outfitted – but each one is a little different. 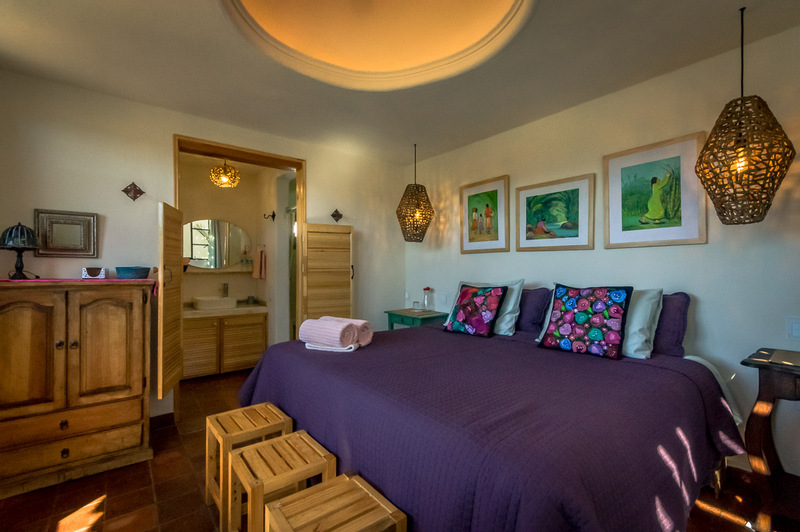 Special color schemes, Mexican art – small extra touches that make your stay unique. Our linens and bedding are eucalyptus, bamboo or high-count cotton fiber. Our mattresses are not too soft or too hard – just right for a relaxing sleep after touring the area or going to one of the many festivals in town. All the rooms have windows, fans and are comfortable throughout the year. We serve breakfast in the morning and if you have special dietary needs, please tell us so we can have things ready for you when you arrive. 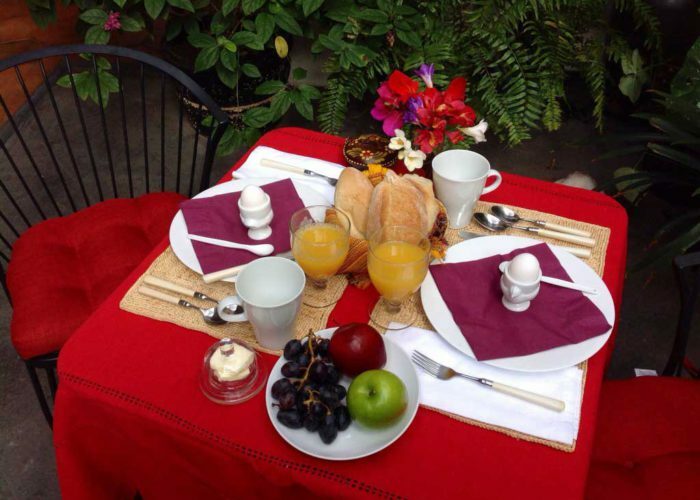 We can also arrange a traditional “Mexican Style” breakfast for you – just let us know. You’re special to us. And after you see for yourself, we hope you will recommend us to your friends and others who are interested in a relaxing trip to our magical region of Mexico. Xola 1 sleeps up to three with a queen and a single bed on the main floor with our atrium patio. All of our rooms have attached private bathrooms and showers. 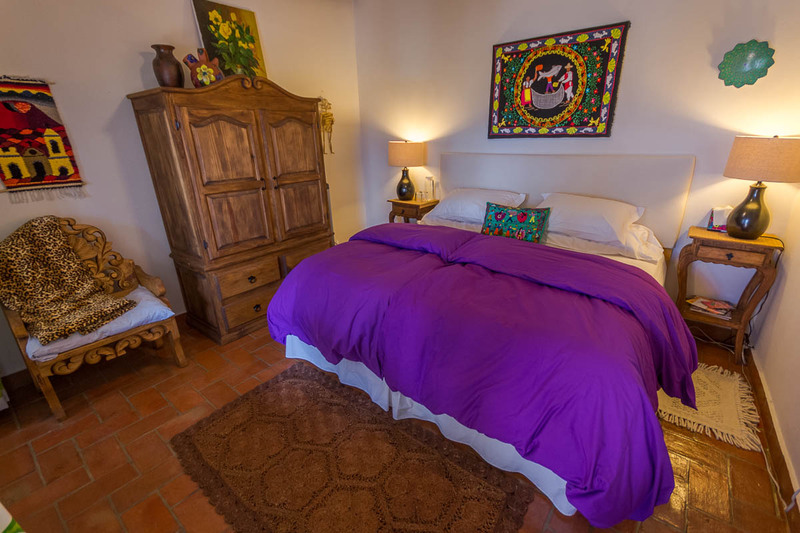 Rate: $75 USD per night (double occupancy), plus $25 USD or 400 MXN per night for one additional guest if needed. 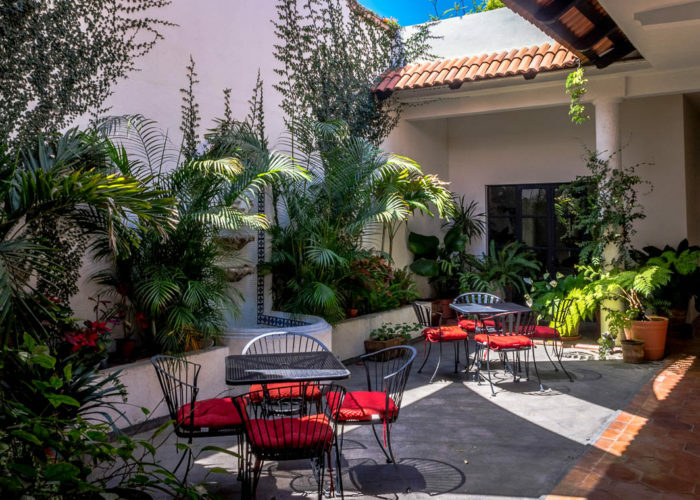 Xola 2 is located on the patio breezeway of the main floor, and has the high ceilings and ample dimensions of Spanish colonial style. Its features include a king-size bed and modern bath. Xola 3 sleeps two in a king-sized bed with a protected balcony sitting area. Xola 4 sleeps two in a double bed. 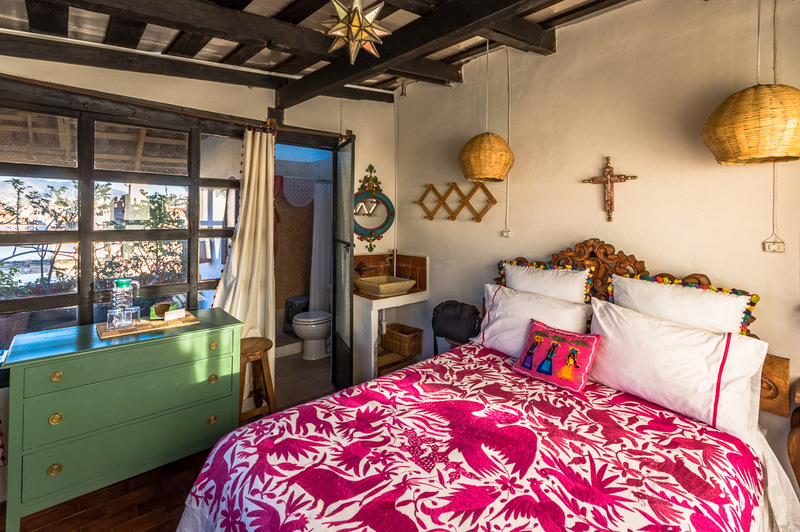 This is our popular casita with rooftop views. Xola 5 sleeps two in a king-sized bed with a private garden sitting area. Muy buenas atenciones y ubicación del inmueble un trato perfecto! Estuve muy contento! Very nice place, very beautiful and very central. 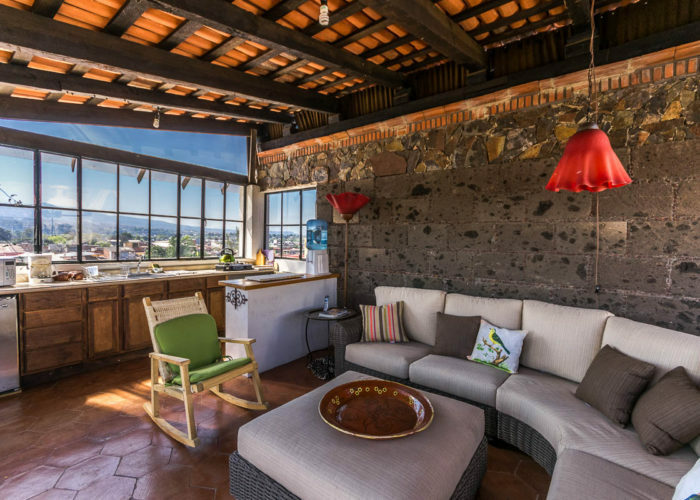 The "casa" is calm, with an amazing terrace. The breakfast is marvelous. 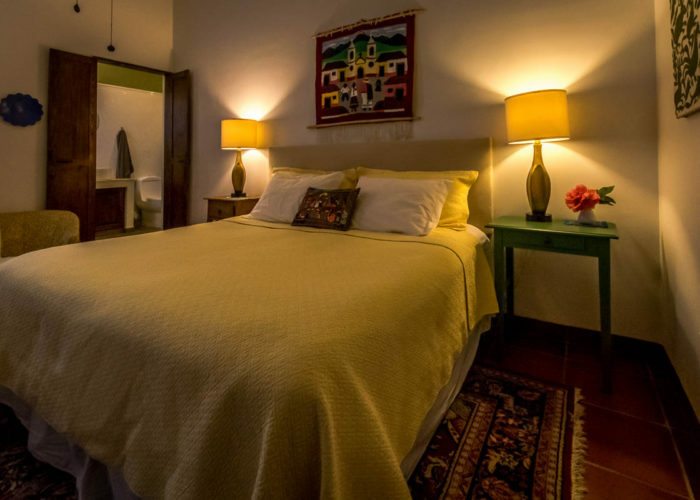 Casa Xola (pronounced SHO-la) is a Bed and Breakfast in an exquisite, restored colonial home located in the heart of Morelia’s bustling downtown. 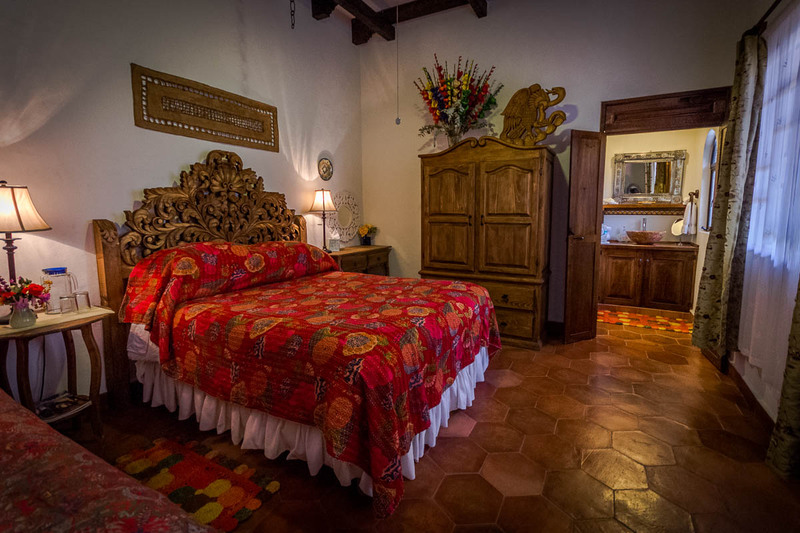 A mere two blocks from the magnificent Cathedral, world-class restaurants, museums, markets, and just about all there is to see in this UNESCO World Heritage Site, Casa Xola offers a calm and restful place to come home to at the end of your busy day. 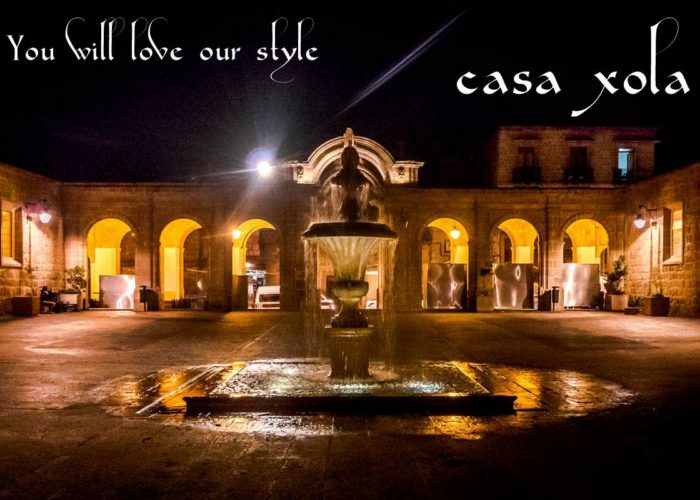 Whether you choose to retire to the comfort of your room, the fountain patio, or to watch the sunset from the covered rooftop terrace and garden with spectacular views of Morelia and the surrounding hills and mountaintops, you will surely discover why our guests have repeatedly referred to Casa Xola as an “oasis”. 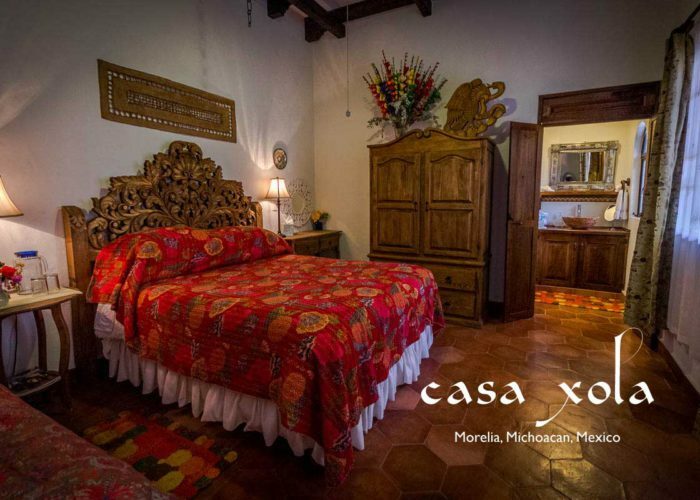 Casa Xola is located in the Spanish colonial city of Morelia, in the state of Michoacan, Mexico. It is part of the central highlands of Mexico – with a temperate climate and a long history as a center of history, music and art in Mexico. 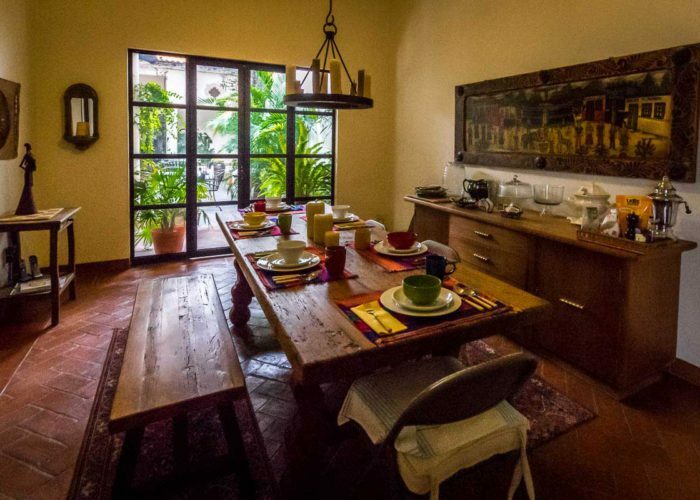 Because it is a UNESCO World Heritage city, the colonial atmosphere and style has been preserved in the Centro district where Casa Xola stands. Our location puts you in easy walking distance of the Cathedral of Morelia, the plazas that surround it and Madero, the broad avenue that fronts the Cathedral and provides a classic place to eat and relax under the colonnade. There are many things to see and do in Morelia and the many surrounding cities and pueblos – read more here.